More and more seniors are looking to enjoy their retirement at Palm Gardens’ Arizona RV park and Mobile Home Community. 55+ active living communities allow for an exciting new stage in life; but besides being fun, there are some real advantages to living in a 55 plus active living community. 1. Exercise: Exercise is well known for improving health, mind, and spirit. In fact, the American College of Sports Medicine considers “exercise as medicine.” A community with a fitness center, temperature-controlled pools, shuffleboard and more makes it easy to integrate fitness as part of a healthy lifestyle. 2. Socialize: Living at 55+ active AZ RV parks is kind of like living in the dormitories in college. Residents are surrounded by like-minded neighbors to talk and socialize with. 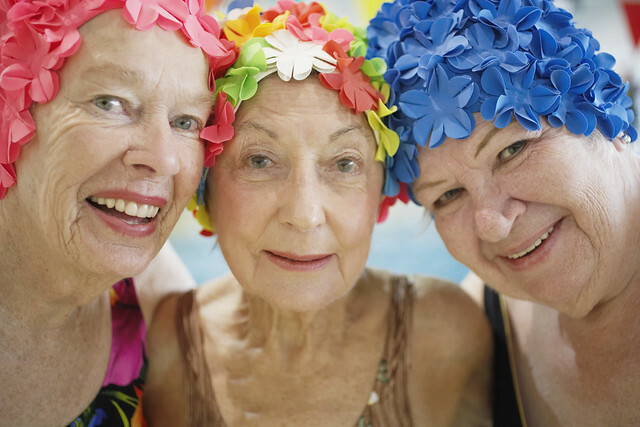 Activities like golf, shuffleboard, cards, bingo, and weekly social events and discussion groups mean seniors have a chance to get together and have fun. 3. Location: Palm Gardens sits in Arizona’s third largest city, Mesa. Mesa boasts more than 40 golf courses, 55 parks, and miles of trails for hiking and biking. With theaters, museums, restaurants, and shopping all nearby, there is no shortage of activities for seniors in the Palm Gardens vicinity. 4. Weather: Located in sunny Mesa, AZ, RV park and mobile home community residents of Palm Gardens can enjoy an average of 325 sunny days a year. With temperatures averaging at about 86 degrees, snowbirds can hang up those winter coats and break out the panama hats! 5. Independent living: Living at a 55+ active living community means maintaining your independence with all the benefits of the community. That means, yard work and maintenance is taken care of, amenities are available, and activities and events are planned but how seniors choose to enjoy their time at Palm Gardens is entirely their own.